Possible construction of new off-campus student housing at the intersection of 8th St. and Spring St. was announced earlier month at a meeting held by the Midtown Alliance. The project would be built by Ambling University Development Group, a private developer not associated with the Department of Housing at Tech. “We believe there is a need for true purpose-built student housing in the Atlanta market, providing the right location is available.” said Ryan Holmes, CEO of Ambling, in an interview with the Atlanta Business Chronicle. Plans also include a retail space on the first floor, a club room, a study room, a 24-hour fitness center and an outdoor pool. “Seven to eight years ago there were no private residence halls. [Housing] is happy to work with them; we just haven’t needed to get involved in a partnership, financial or otherwise, with them. The private housing phenomenon is relatively new [to Atlanta] but has been around for generations in other cities,” said Dan Morrison, Director for Residence Life. 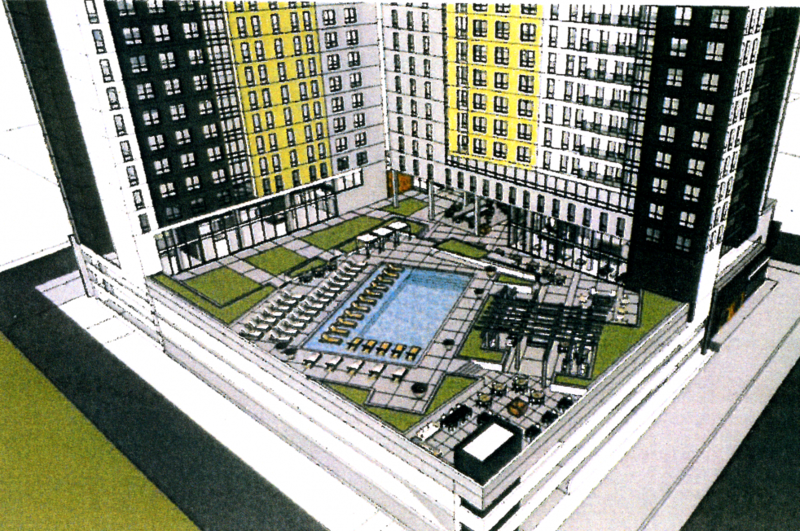 The apartment-style housing would be 17 stories tall and house over 700 students, according to an agenda released by the Midtown Alliance. The plans also include a retail space on the first floor, a club room, a study room, a 24-hour fitness center and an outdoor pool. Ambling’s student housing will include one, two, three and four bedroom apartment units. Each unit would have an equal number of private bedrooms and baths. For instance, a four bedroom apartment would also have four private bathrooms. Ambling’s housing would be intended for Tech students only. Also, Ambling has proposed building a 360 car parking garage that would be supplemented by street housing. According to their information packet, Ambling’s student housing “will be the closest purpose built off campus apartments available to [Tech] students.” Unlike other private housing around the Institute, Ambling’s housing would be intended exclusively for use by Tech students. “We have seen interest from students attending Georgia Tech, as well as some other schools in town,” Holmes said to the Atlanta Business Chronicle. However, Ambling did not consult with Tech before beginning their project. Housing disagrees over the number of Georgia Tech students needing off campus housing. “More than growing, we are having to juggle students around. It is probably about right that we could fill 300-400 more beds, but not 700 beds,” Morrison said. According to the information packet created by Ambling, Tech has the fifth largest student enrollment in the state, averaging a three percent growth over the last 10 years. “We don’t believe we have a large, unfulfilled demand. If [Ambling is] basing their project on the belief that we are turning away hundreds and hundreds of students, then we’re not sure if that is necessarily true,” Morrison said. “[Housing] will be interesting to see what happens. We know that Ambling makes a good product- they’re very well respected. We just don’t believe there is a need for 700 students to be housed elsewhere and we’re curious to see where they got their numbers,” Morrison said. There are three private residence halls around Tech’s campus; The Flats in Atlantic Station, 100 Midtown Apartments and WestMar Student Lofts. 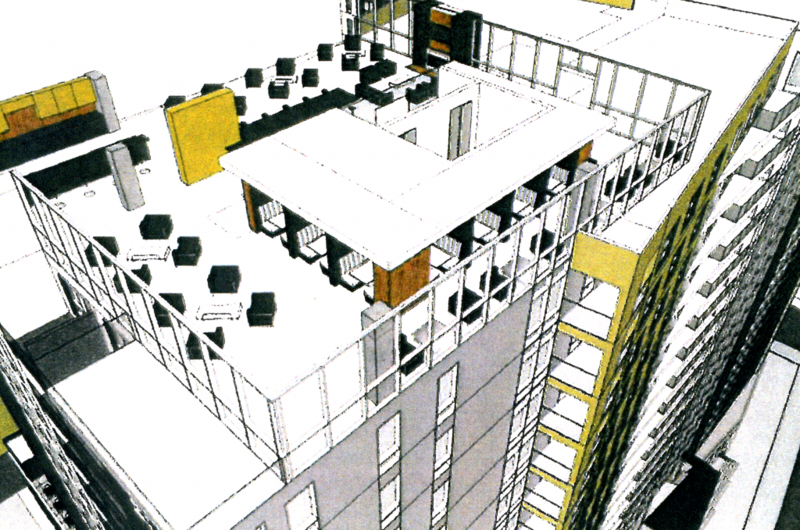 There are currently no plans in place for Tech to build any new residence halls. Rather, old residence halls will be renovated. Ambling will submit their formal construction proposal next month. They already developed 59 other student housing projects across the country and are currently constructing off-campus housing for GSU.